Next to Sydney’s burgeoning Green Square, developers Time&Place and Golden Age Group have united Australia’s most awarded interior designers Hecker Guthrie and architects Turner + Associates to create No 1 Lachlan, which will feature 143 one, two and three-bedroom apartments that aim to elevate design and provide smart and generous residences for owner occupiers through considered spaces and clever features. Located at 1-9 Lachlan St, Waterloo, the boutique development is set across three buildings spanning eight, nine and 10 levels each, offering abundant leafy rooftop terraces for residents to enjoy sweeping views of the CBD. Just minutes from the CBD and Green Square, No 1 Lachlan Street offers strong connectivity to retail, commercial and leisure activities, with buses and trains just a short walk away. Waterloo has been chosen as a location for a new metro train station by the NSW government. The interiors will be crafted around a classic style with restrained modern elegance and featuring floating joinery, integrated lighting and premium materials. Each floor at No 1 Lachlan will feature only a handful of apartments to create a sense of space and intimacy. Golden Age Development Group is an established Australian property development business known for signature, high-end commercial and residential projects in key capital city locations. Established for nearly ten years, Golden Age Group develops quality spaces for people to call home. For its first property development, Jade Apartments was awarded 2011 Australia Institute of Architects State and National awards in the Residential Category. Golden Age Group has since delivered numerous developments across Melbourne including the recently completed Emerald, Melbourne's 5-star Sheraton Hotel and apartment development 27 Lt Collins St. Its current project, Victoria One, will become the tallest building in Melbourne's CBD when completed in 2017. 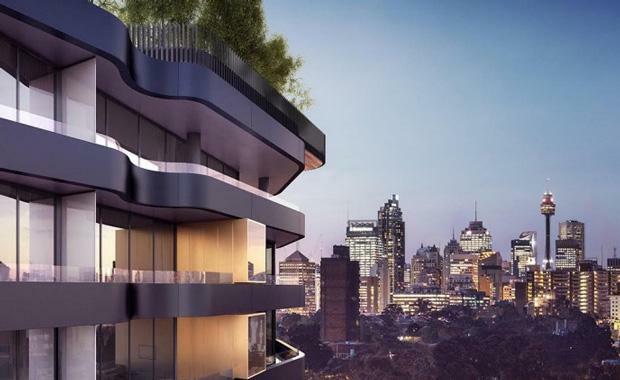 They have now expanded into Sydney with two live projects in Double Bay and Waterloo, with two more projects coming to The Rocks and Macquarie Park.